Nevada is effectively the only state where sports betting is legal and regulated. And now most Las Vegas casinos offer mobile sports betting apps, meaning that you can bet on sports from anywhere within the state. Learn more about what casinos offer which apps for mobile sports betting in Las Vegas. WSOP.com is the only legal online poker room in the state of Nevada. You can qualify for World Series of Poker seats, win WSOP bracelets online, or play cash and tournament games 24/7 within the state of Nevada. Read our WSOP Nevada review here! 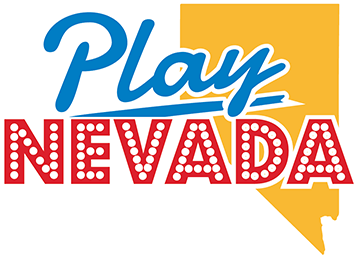 When did online gambling become legal in Nevada? Online poker became legal and regulated in the state of Nevada on Feb. 25, 2013. This is when Nevada lawmakers signed AB 114 into law. In fact, the bill essentially authorized the issuance of online poker operator licenses in Nevada. Delaware got there first, so Nevada was actually the second state in history to legalize online poker. However, Ultimate Poker became the first site to offer real-money licensed and regulated online poker games in the United States in May 2013. Can I play online casino games or just online poker? Currently, only sites that offer online poker have been licensed to operate in Nevada. Will online casino games come to Nevada at some point? It’s highly likely online casino games will come to Nevada at some point. In fact, this is because the same law that legalized and regulated online poker in the state allows for casino gambling. Plus, that means no new bill would be required, only authorization from lawmakers, who are least talking about it, if not moving towards it. The Nevada Gaming Policy Committee has held discussions regarding the success of the online casino gaming market in New Jersey. Plus, they have addressed Nevada’s original concerns that online casino games might cannibalize existing land-based casino revenues. In fact, the committee has mostly heard testimony putting those concerns to rest and confirming geo-location software and age verification processes are working well enough to ensure compliance with state laws regarding online gambling. Apparently, a number of operators are waiting in the wings to see when online casino operations will be authorized in the state. In fact, some opposition to online casino games remains. However, the rising tide of support is against them. Do Nevada casinos offer online sports betting? Yes, a number of Nevada sportsbooks offer online wagering through the use of sports betting apps. Of course, users must be located inside Nevada to bet. What companies offer online poker in Nevada? Nevada’s first online poker room, Ultimate Poker, has since ceased operations. However, there are two online poker sites operating in the state. This includes WSOP.com, the online home of the World Series of Poker and Real Gaming Online Poker, an online poker operator owned and run by the South Point Hotel, Casino & Spa. Is there any crossover between land-based and online poker in Nevada? Yes, WSOP.com runs a a robust online satellite program offering entry into some of the World Series of Poker’s biggest events, including the WSOP Main Event. Plus, WSOP.com players can connect their online Action Club loyalty program memberships with their accounts at Caesars Entertainment’s Total Rewards program, allowing them to earn comps at Caesars properties through online play. Can I play the World Series of Poker online? In 2015 and 2016, the World Series of poker offered players the chance to win a WSOP bracelet through a single $1,000 online tournament on WSOP.com each year. However, the final tables played out live. In 2018, the WSOP is offering even more online bracelets, expanding its offerings to four bracelet events. Plus, WSOP.com runs a huge online satellite program offering entry into a number of World Series of Poker events. Are there any WSOP bracelets for online poker? Yes. In 2018, WSOP.com expanded its bracelet offerings to four. Additionally, it was the first year players in New Jersey and Delaware could stay home and still play for a bracelet. Of course, as in past years, WSOP.com also offered an extensive number of online satellites into most every live bracelet event as well. When I play online poker in Nevada, am I just playing against other players in Nevada? No, the Nevada government allows the state to enter into agreements with other states offering legal and regulated online gambling to share player pools. In fact, one such agreement was signed with the state of Delaware, with WSOP.com allowing players from both states to play against each other since March 2015. In 2018, Nevada also agreed to pool players with New Jersey online poker sites. Thanks to that rule, a shared site with WSOP.com NJ and the Delaware poker sites launched on April 30, 2018.